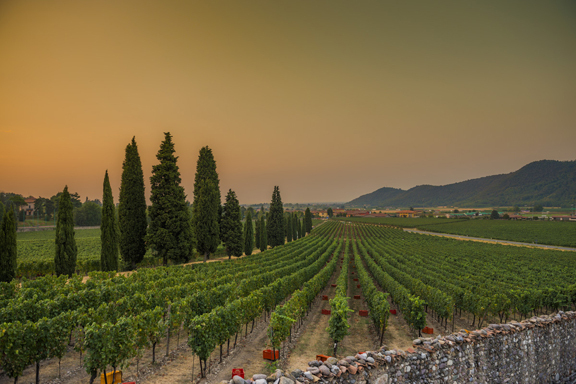 The Franciacorta Consortium recently launched its new and wonderfully navigable website. The English-language version is forthcoming. In the meantime, unfortunately, there is no English-language version of the appellations production regulations. I’ll be expanding it over time. But it’s a great place to begin wrapping one’s mind around the appellation. Please note that it’s not a translation of the appellation regulations. It’s just an aggregate of salient information that I’ve culled and synopsized from the Italian version. The appellation Franciacorta DOCG (controlled and guaranteed designation of origin) is reserved for wines obtained exclusively with re-fermentation in bottle and the separation of sediment by means of disgorgement. The wines must be produced in accordance with the requirements prescribed by the appellation’s production regulations. The wines must be made solely with Chardonnay and Pinot Noir as well as a maximum of 50% Pinot Blanc. For the production of Franciacorta Rosé, the minimum percentage of Pinot Noir is 25% of the total blend. Pinot Noir is not allowed in the production of Satèn. The base wines for the production of Franciacorta may be obtained from a blend of different vintages. Vintage-dated Franciacorta (millesimato) must be produced using at least 85% of wine from the stated vintage. For the production of Franciacorta Satèn, no more than 20 grams/liter of sugar may be added to the wine in provoking the second fermentation or the final dosage (combined). The minimum lees aging requirements follow (in months). The wines may be disgorged manually or mechanically and filtration is not allowed. According to the consortium, there are 109 members of the Franciacorta consortium and they account for 94 percent of total production. Previous post ← Thank you, Boulder! You are the best!